Without wasting time let me tell you how to enjoy this. If you are new to TroidVPN please Click here and register for an account. 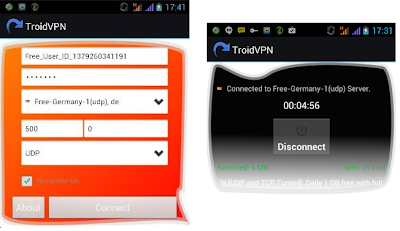 To use TroidVPN as a premium user, you need a Tunnel Guru voucher, its just 600naira. Click here to purchase and bypass the Daily 1gb bandwidth. If you have any question or issue please comment below. 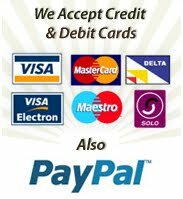 I just did subscribes this morning, but my credit has been goin, and rite now it's not browsing, Wat shud I do. David let me know, after subscribing did you change your APN to blackberry.net on the Android device?? Triod VPN : 5 Location : 8 free high capacity Servers : 1 GB Free Daily . At peak time you may have to fight to get room. 20 Premium Servers added for Premium Users. Truly Unlimited Bandwidth. Same TunnelGuru VPN ( For PC ) Account can be used simultaneously with TroidVPN. chris what can i do? etisalami has no 3g in ijebu ode, any hope emtyh? @Oluwaseye, Nothing at the moment. I think this is the comment you said was deleted right?? BRO, BY THE DAILY SUBSCRIPTION AND ACTIVATING MY ACCOUNT TO PREMIUM ACCOUNT, WILL IT TAKE ME TILL ONE MONTH? does my phone have to be rooted to use this? Fatima rooting is not required.